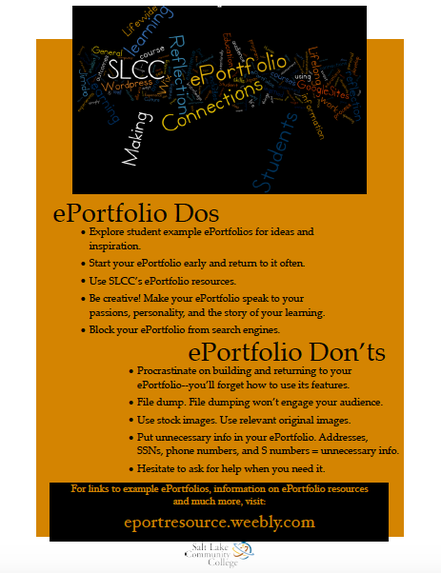 This is SLCC's help site for students who have chosen Weebly to build their General Education ePortfolio. This site is built using the free standard Weebly service that you can use for your ePortfolio. As you can see from the menu above, this site has video tutorials to get you started, advice and tips for your ePortfolio, examples of portfolios built in Weebly, and places for you to get additional help.